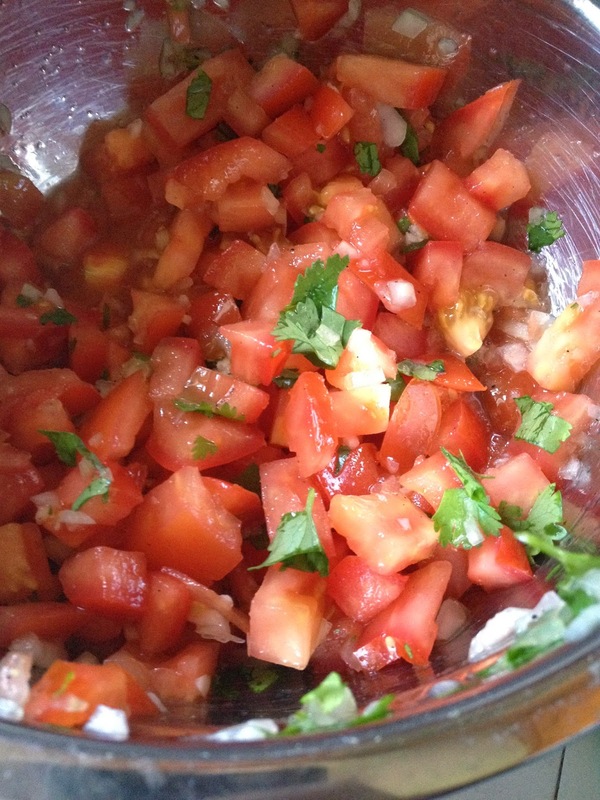 Mild, fresh salsa I've been working on to include in various meals. Note that you can spice it up with some chopped jalapeño peppers. 1. Cut up the tomatoes and onions as small as you wish. If you like chunky salsa, keep the pieces bigger. Put the tomatoes in a bowl and the onions in a strainer.2. 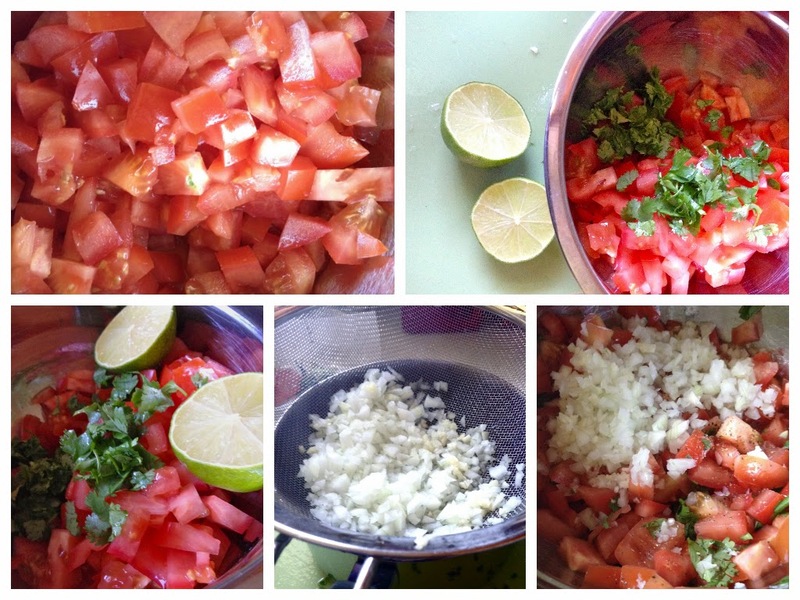 Wash and chop cilantro and add it in the bowl with the tomatoes. Include the juice of 1 lime, the basil leaves spice and salt and pepper. 3. Put the minced garlic in the strainer with the raw onions and add a bowl under it. Once secured, pour 3 cups of hot water over them. This will soften them in order for their flavour to be absorbed in the salsa. 4. Once strained, discard the water in the bowl and put the onions/garlic in with the tomato mixture. 5. Mix well and put in the fridge. Note: If you don't like it as chunky, I suggest passing it lightly in a blender or magic bullet and setting it in the fridge for over an hour. 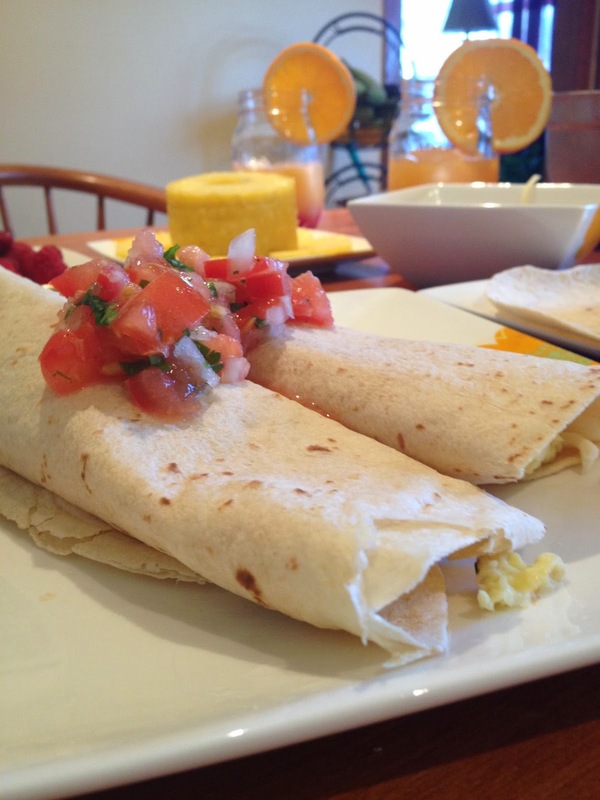 Easy, plain breakfast burritos meant as a starting point. Include any type of veggie, meat or bean to fill it up. 1. Mix eggs, egg whites, and milk.2. 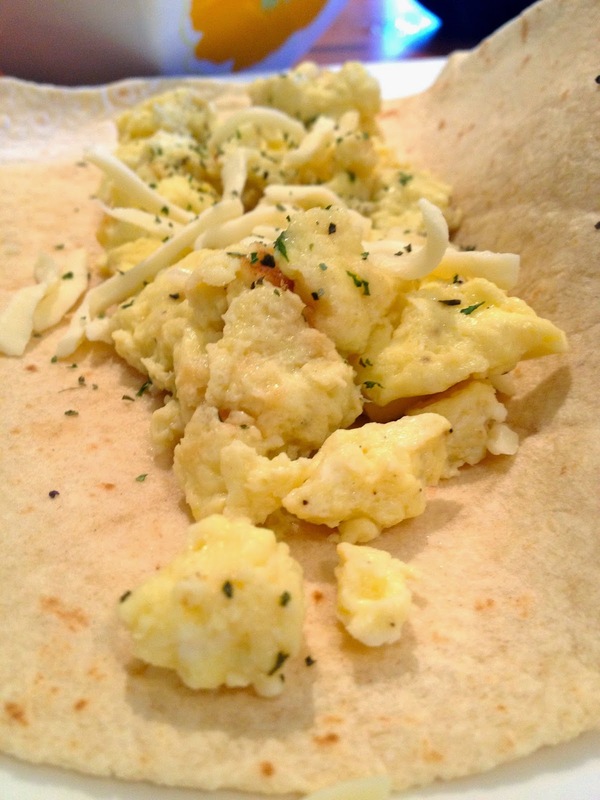 Make scrambled eggs with mixture on medium heat.3. Put tortillas in a preheated oven to warm them up. 4. 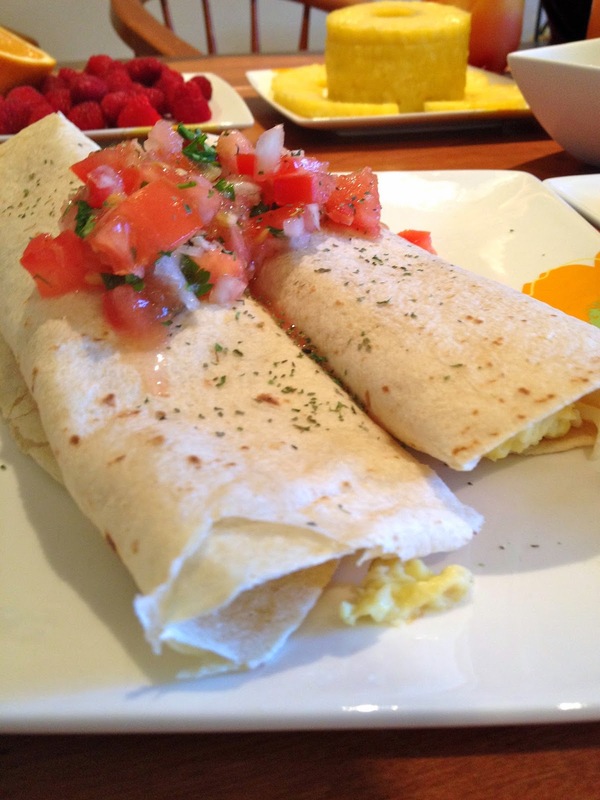 Once eggs are done, evenly divide them among the 6 tortillas. 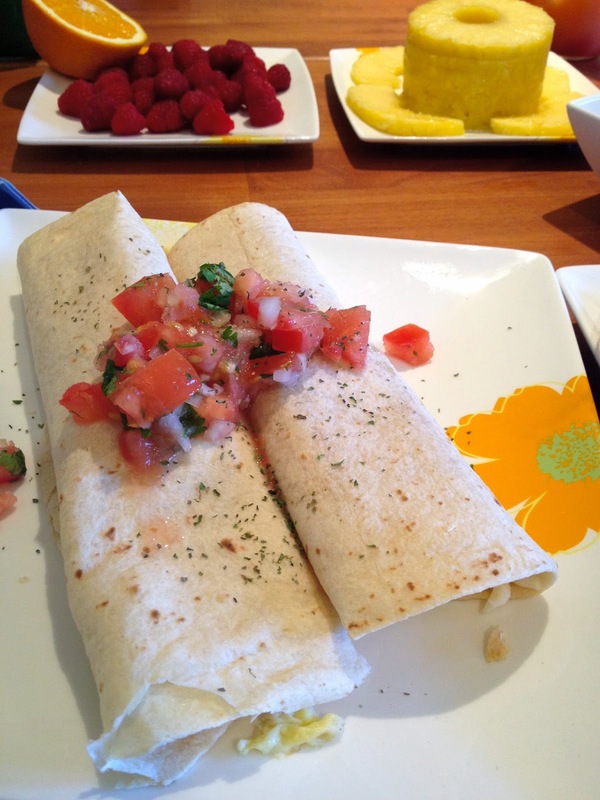 Hope you enjoyed this double recipe I created for a great Mother's day breakfast. Both of these recipes are simple to make and have a lot of room for creativity. I love recipes like this because you can't get bored of them as easily by continuously changing up a few ingredients. Have fun with them and let me know if you come up with something even better! Look forward to hearing from you on Facebook or simply tag me in a post on Instagram by including @alicialamore or @myhealthyfashion.